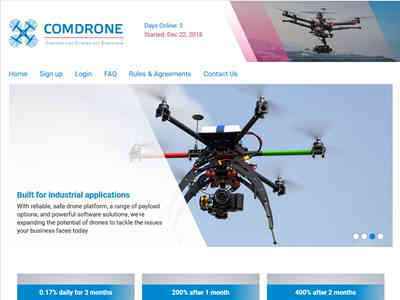 ComDrone exists to enable businesses to get the most from commercial drone technology. To date, our company has helped many businesses gain access to drone technology, providing cheaper, faster and safer operational capability. We are passionate about helping businesses to realise the potential of commercial drones. To this end, we stock drones of a sufficient variety to meet many different companies' needs. Our exclusive supplier relationships mean we can provide bespoke builds specifically for your drone projects. Whether you work in utilities, construction, insurance, oil and gas, or agriculture, we'll help drive the digital transformation for your business. Our goal is to provide you with a complete solution using the world's best commercial drones, payloads, software, training, detection and consultancy. We can deliver the best possible drone strategy for your business. From agriculture to internet access, drones are a multipurpose tool that offers the potential to reimagine some of the most critical ways humanity operates.